Q: Can a ticket be created on behalf of a customer (via a phone call, for example) without an auto-response being sent to the customer? A: Yes! Let’s start with some context to bring everyone up to speed. When a customer submits a ticket, the “Notify Requester of Received Request” trigger fires to let them know the ticket was received. While this makes sense for tickets created via email, the web widget, or the submit a request form, it doesn’t make sense when the customer calls or chats. Nor does it make sense for the trigger to automatically fire when an agent creates a ticket on behalf of a customer. Since you mentioned a phone call scenario, I’ll start with some good news—a ticket created through Zendesk Talk will not set off a “Notify Requester of Received Request” trigger notification. Hooray! In the case of chat or an agent-created ticket, however, the “Notify Requester of Received Request” trigger will fire upon ticket creation. In this ZEN U Tip of the Week, we’ll look at work-arounds to prevent this trigger from firing for chat and agent-created tickets. Graduate from the College of Customer Happiness by attending Zen U. Classes are held in cities all over the world. See where we are headed next. 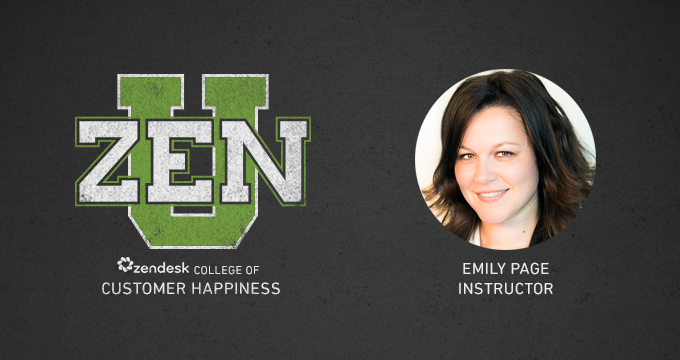 In this special Zen U Tip of the Week series, questions from Zendesk users are answered by Zen U instructors. For more tips, check out Zendesk’s Tip of the Week collection.